The mixture properties given by Eqs (7.2a) - (7.2d) apply to ideal gas mixtures as well as to ideal condensed-phase solutions. In the latter, the concentrations in solution are distinct from and unrelated to the total pressure on the system. 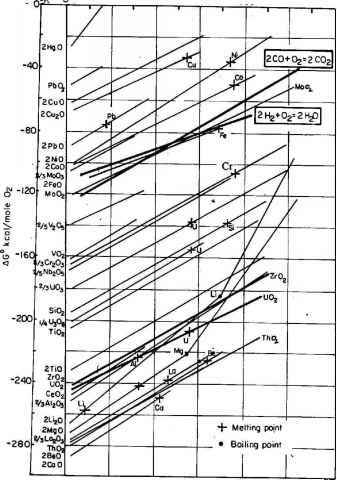 In gas mixtures, however, the total pressure is the sum of the partial pressures of the individual components. Two routes for forming 1 mole of an ideal gas mixture from xA and xB moles of pure components A and B are shown in Fig. 7.1. Both mixing processes are conducted isothermally at temperature T. xA and xB are the mole fractions of A and B in the mixture, so xA + xB = 1. In the diagram, the molar volume v = RT/p, where p is the pressure of the initial pure components and of the final mixture.